John follows Olivia’s idea…and apparently she was right. John’s face in the last panel. That is John’s new design for the universe where nothing bad ever happens to Little Olivia. Charlie’s face in the second panel reminds me of one of those abstract art faces, probably because of the eyes. 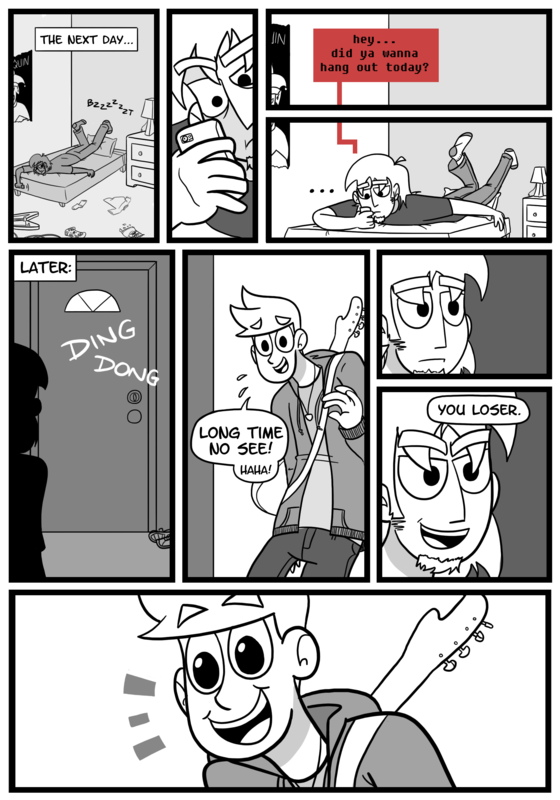 John’s face in the last panel however is just adorable… yet also a little bit freaky. This reminds me of the ‘KITTY’ incident. Those of ye who read EGS will know what I mean. Y’know…something really bothered me about that arm/hand and I couldn’t for the life of me figure it out. Wait, it was? I didn’t notice. Do you still have the panel with the thumb on the wrong side? I want to see the freak hand!